How spectacular would it be to sit in this restaurant?! 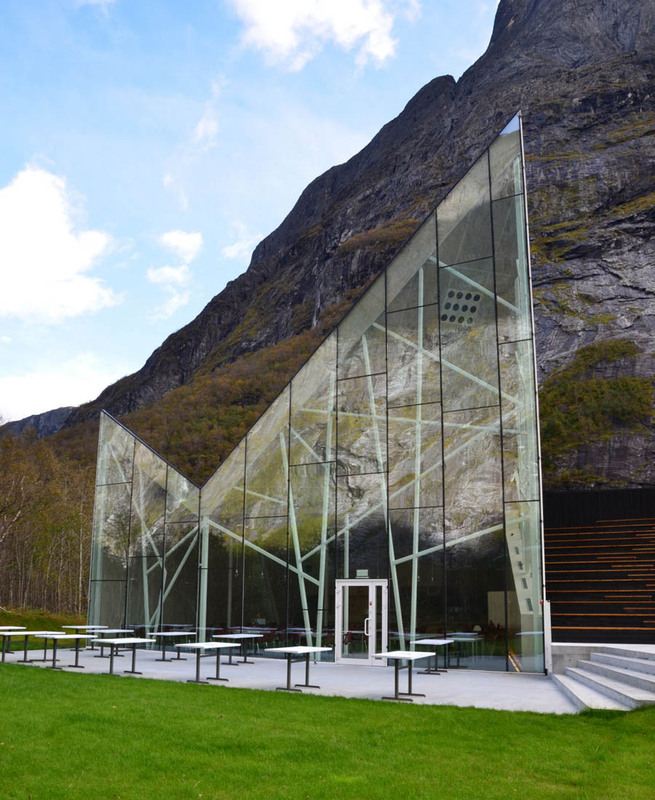 The recently completed Trollwall Restaurant and Service Center in Trollveggen, Møre og Romsdal, Norway was designed by Oslo-based architects Reiulf Ramstad Arkitekter (RRA). 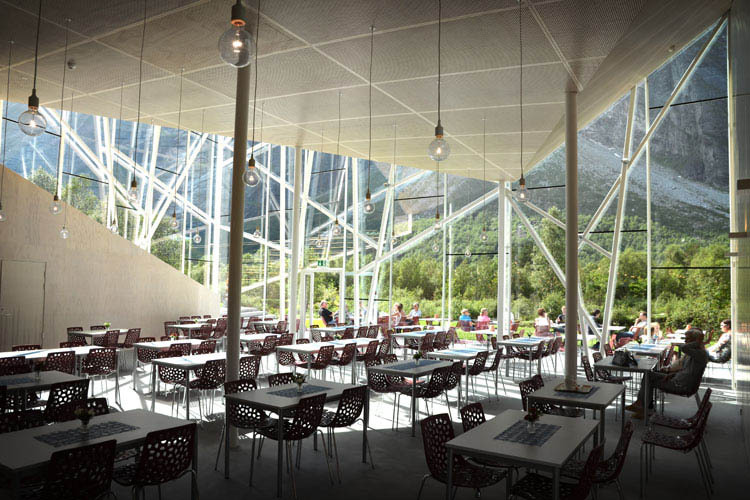 Sitting at the foot of one of Norway’s natural attractions, The Troll Wall, this new building has a dramatically sloped roof that mimics its surroundings with eye-catching glass façade to reflect the impressive natural landscape. A stunning accent to an already breathtaking backdrop. In addition to the restaurant, the building houses a gift shop and a theater.